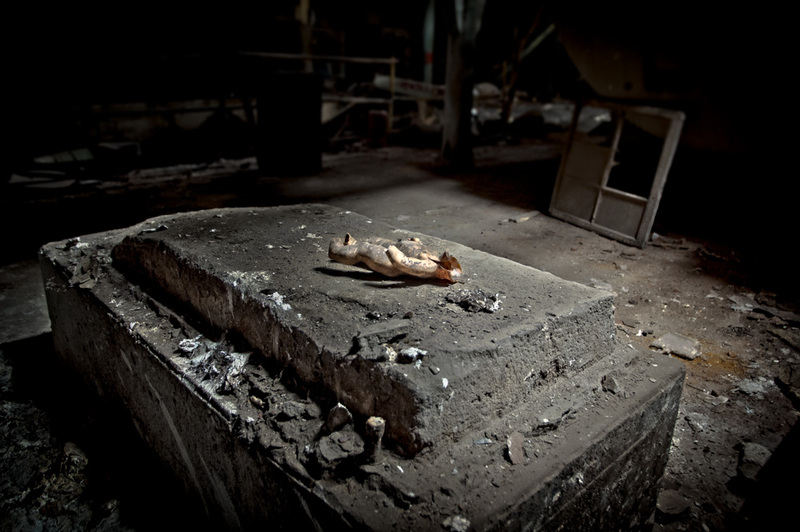 I’m not sure how a headless doll made it’s way into an abandoned sugar mill and the thought that someone would bring a child into such a polluted, dangerous environment is frightening. But this lost toy made me do a double take, it’s condition complimented the doll’s surroundings and new home perfectly. The title says everything. Really seems an altar and an offering. Even the presence of the light, seems to give emphasis to this idea.